Yumi Katsura has always shown an insatiable spirit of inquiry into new materials and an unrelenting pursuit of new techniques. She started in 1964 by launching dresses in wide-ranging materials, developing a host of silk and lace fabrics into leading choices for Japanese bridal fashion. An example was her production of a satin taffeta (satin fabric with a taffeta feel), a fabric previously thought to be impractical. She also poured her energy into pioneering new fashion techniques, especially lace hollowing, as well as the fisherman’s knot she used for airy hemlines. 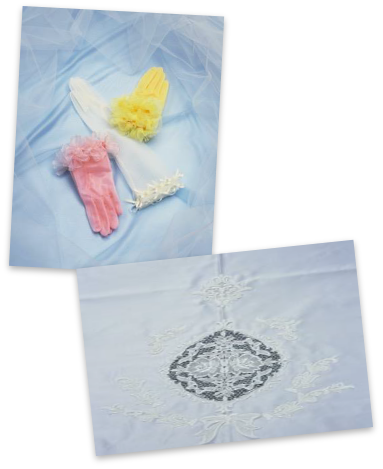 Yumi Katsura set out to upgrade Japan’s conservative, predictable bridal accessories –dress decorations, gloves, shoes and innerwear– by introducing new designs, higher quality, and a sense of fashion. Many of her strongest achievements have emerged from her work to both serve and shape the sundry needs of the bridal scene. Back in the Japan of the 1970s, wedding dresses were normally rented. Customs changed when Yumi Katsura nurtured the foreign notion that a bride could own her dress. Year by year, she brought out high-quality dresses in the same price range as rentals –within a month’s salary for a working woman. As more brides sought to own their own dresses, Yumi Katsura led the readymade wedding fashion industry with her simple, stylish designs. The Yumi Line silhouette dress, first shown in New York in 1981, remains the masterwork of the Yumi Katsura couture lines. This series fascinates brides-to-be around the world still today. Yumi Katsura has been consistent and energetic in developing new materials and techniques. 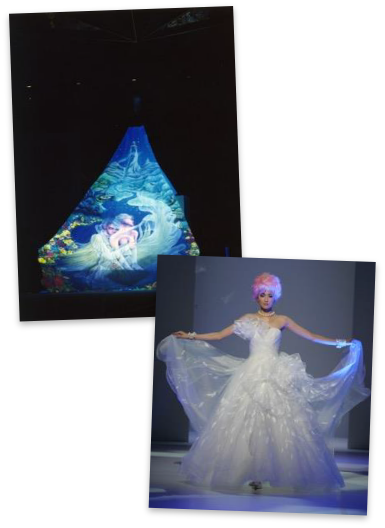 One example was the world’s first mariée made with luminescent material that glows in the dark. In 2005 she pioneered the dressmaking use of “morpho fiber,” a selectively reflective artificial thread that shimmers like a heavenly aurora. Since 2009 she has shown gowns with LED lights and optical fiber, futuristic adornments that dominated headlines in the wedding industry. In 2015 she made another successful splash with a fantastical long-train mariée. And at the 2016 Paris Collection she presented three dresses with vivid patterns woven from thread coated with Chromashine®, a metallic pigment developed by Toyo Aluminum, in a novel collaboration between a metal maker and the high fashion world. The groom is just the bride’s straight man, or so was the belief in Japan until Yumi Katsura rebelled. From 1983 she took on the dull men’s tradition with a stream of new tailcoats, Spencer suits, and ceremony coats. With notably stylish designs and several studied silhouettes, she debuted a succession of strong fashion values into men’s formal wear. 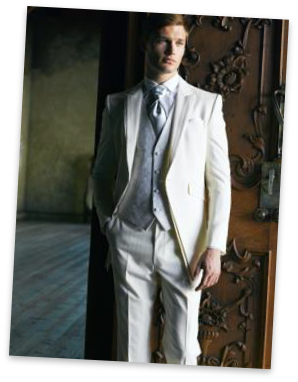 The brand was unparalleled anywhere in offering a total wedding wear design for both bride and groom. Yumi Katsura has convened the Asia Bridal Summit since 1995 with the mission of nurturing and passing on national traditions of wedding culture and wedding clothes. Each summit gathers experts on marriage customs and bridal industries from four to eight countries for a meaningful interchange and simulated marriage ceremonies from the represented countries. The first summit was in Tokyo. Others have followed in Jakarta, Seoul, Manila, and Suzhou. The All Japan Bridal Association (now a nonprofit organization) began training and certifying bridal consultants in 1969. About 5000 certified consultants practicing around the country lead today’s industry. The certification of wedding planners and producers began later, in 1990. The Lover’s Sanctuary movement, started by Yumi Katsura in 2006, has designated 140 scenic location in Japan as ideal spots for proposing. Since 2011 she has also been promoting “hometown weddings” to broaden the range of participation. Starting out at a time when Japanese wedding design was thoroughly Western and diametrically opposed to the kimono tradition, Yumi Katsura took a stance of pride in Japan and reverence for its culture and traditions. 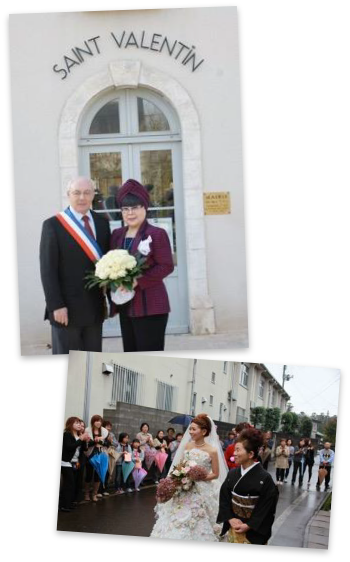 She consistently promoted the compatibility of East and West in the wedding ceremony. Seeking out the real reasons why brides tended to avoid the kimono tradition in the ceremony, she identified elements such as the weight of the kimono (typically 5 kilograms) and elaborate traditional hairstyles. Her new kimonos, made of dress materials such as organdy, weighed only about 300 grams. 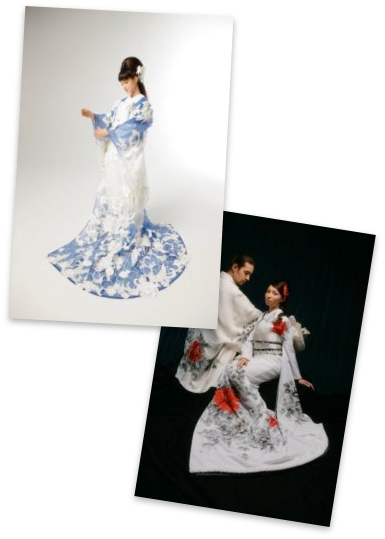 Yumi Katsura dresses designed for convenience took the kimono industry by storm. They also drew Japanese women’s attention to the fast-disappearing kimono, a costume now making a comeback beyond the wedding universe. In July 2001, Yumi Katsura presented a long-anticipated collection of dresses made with ancient Japanese techniques at the Donna Sotto Le Stelle event in Rome. From 2003, Yumi Katsura began showcasing dresses made from Japanese paper (washi) in her Paris Collection, adding the term washi mode to the Japanese fashion vocabulary. Then she introduced Yumi Yuzen, the ongoing project to bring the beauty of traditional yuzen dyeing to women worldwide, at the Paris Collection in 2012. Yumi Katsura has produced more than 200 shows in her career. “Japanesque fashion” – fusing Japanese artistic traditions with international couture – has been a consistent feature of her life’s work. Yumi Katsura wrote the “Bridal Book” In 1968, back when Japan had no other guides for bridal planning. She was the first to recommend a dignified ceremony followed by a joyful reception. No one before her proclaimed that every wedding can have a flavor of its own. She has gone on to publish more than 20 books since. 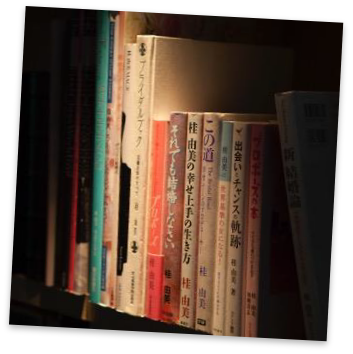 Yumi Katsura’s books have brought greater elegance and splendor to the wedding ceremony, especially in Japan, where they serve as guideposts for the wedding industry. The All Japan Bridal Association was organized in 1969 to fill a gap in Japanese education by training professional wedding planners. By now it has certified some 5000 wedding consultants. In 2007 the Yumi Katsura Award was created to search out new talents who can bring fresh waves to bridal fashion and support the training of Japanese designers. 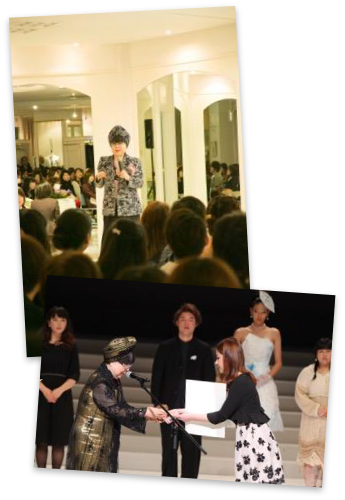 The Award also carries the personal hope of Yumi Katsura: to pass on to future generations the passion for bridal fashions she has cultivated for 52 years.